What is Auto Global Manufacturing Skill Program? 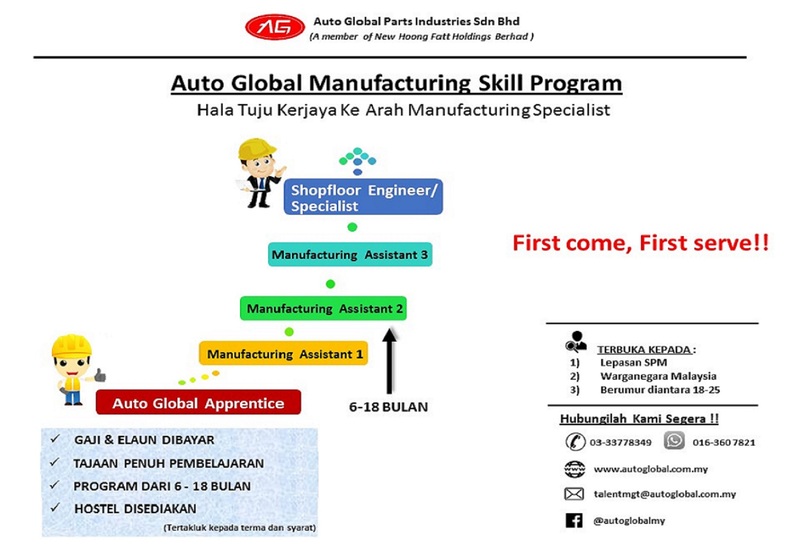 Auto Global Manufacturing Skill Program (AGMSP) is an apprenticeship program that provides a great opportunity for you to gain industrial qualifications and experience in manufacturing industry. What are the opportunities in Auto Global Manufacturing Skill Program? Does it cost anything to become an apprentice? Yes. As an apprentice you are considered a full-time employee and you will receive a salary of RM1000 monthly together with highly competitive allowances for the first 3 months probation period. Yes, accommodation is provided by Auto Global .